You may have noticed that Get Packed has recently added Quick Response (QR) Codes to our Invoices & Delivery Dockets. Get Packed would like you to scan the QR Code using your mobile phone or iPad which will take you directly to our website www.getpacked.com.au . If you wondering what this new technology looks like, below is a sample of the Get Packed QR Code, you will start to see these QR Codes appearing everywhere. 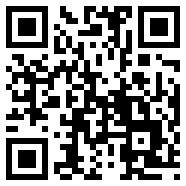 If you don’t have a QR Scanner on your phone you can download the APP for free from QRREADER.